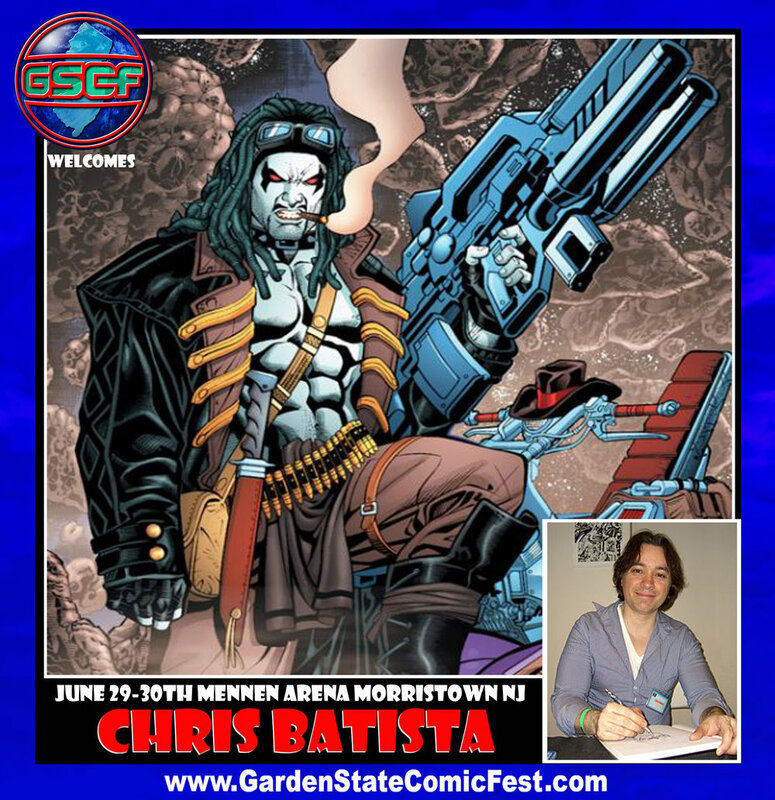 Chris Batista was born and raised in New York City. Growing up It was hard to find him without a pencil in his hand. All he drew was superheroes and devoured comic books. This eventually led to his attendance at Laguardia HS, were he studied the arts for 4 years instead of getting better at math and science. He then attended the School of Visual Arts were he studied illustration and animation. It was there that he studied under the LEGENDARY Klaus Janson, which quickly lead to a job with Marvel Comics and later DC Comics. The majority of his work is from DC, were he worked on titles such as Booster Gold, JLA, Legion of Superheroes, Hawkman, Aquaman and 52.